The View Across Town: Dog walking with an umbrella ... always interesting! 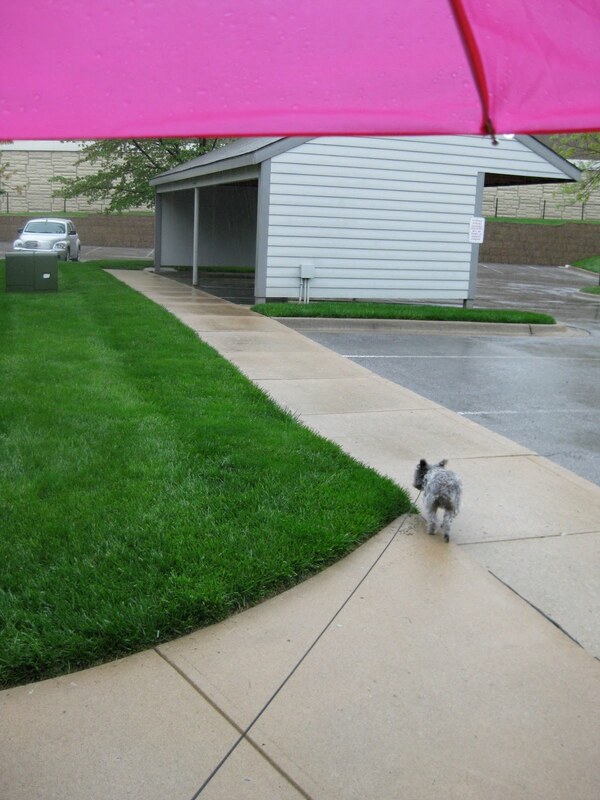 Dog walking with an umbrella ... always interesting! I thought about your evening walk as I came home in torrential rain. Must have been a mess.